Hello friends! I hope you are having a great Wednesday. Right now Scott, Jackson and myself are making our way south for some family business. BUT...I pre recorded some videos so I wouldn't get any further behind than what I already am. 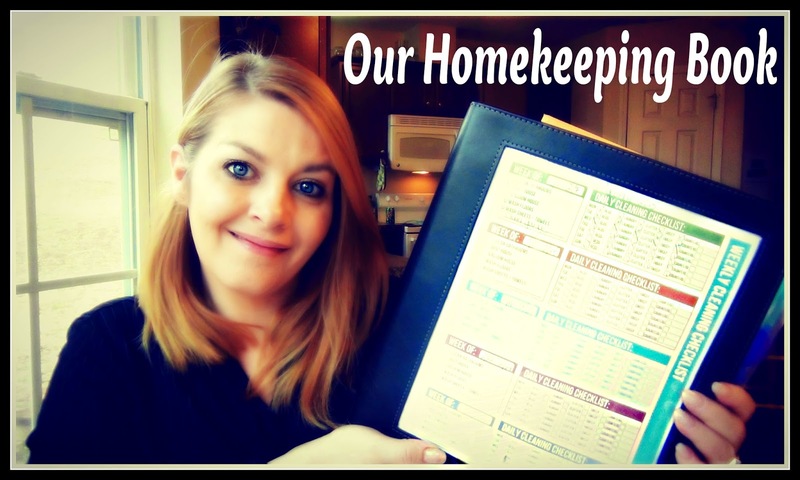 Today I am sharing my homekeeping book that I started using at the first of the year. Due to time constraints, I am not doing a huge in depth blog post to go along with the video. So sorry. Maybe sometime after we get back home I can update this post, but the video shows you in detail how ours is set up. Hope you enjoy. So I hope you maybe got some inspiration to start your own homekeeping/home management binder that makes life easier for you. As you could see, there is no washi tape or color coding in this book. It's basically the rough copy of everything going on and also a place to store the bills, the personal papers...things we don't want to get lost. One of my favorite parts of this book is the back where the monthly dividers are. It's crazy how many times I have went through planners trying to figure out a date that something happened. Well, no longer! Every time something of note that happens in our family it goes in this section. Then I can file it away at the end of the year by month and have everything in one place. Meal Planning Printable Bundle - INSTANT DOWNLOAD - Set of 5 PDF's! Thanks for watching! I really hope you find some inspiration for your homekeeping/ home management binder. I'll try to come back and update this post with more pictures when we get back from our trip! If by some chance you are just coming by for the first time, I would love it if you subscribed!